Collins Aerospace has revealed details of The Grid, a new facility in Rockford, Illinois claimed to be industry’s most advanced electric power systems laboratory. Collins Aerospace is a unit of United Technologies Corp (UTC), which recently launched an advanced projects group and is developing Project 804, a hybrid-electric flight demonstrator that is predicted to yield average fuel savings of 30 per cent. 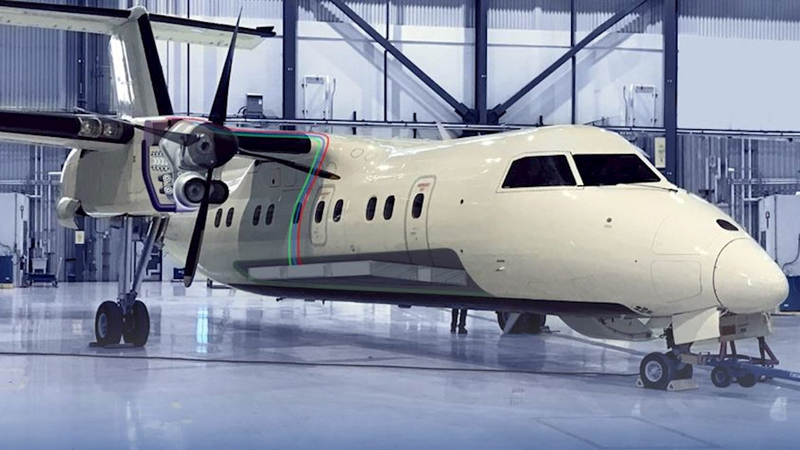 Project 804 will re-engine and fly a regional turboprop aircraft – a Bombardier Dash 8 Series Q100 – powered by a 2MW-class hybrid-electric propulsion system. Collins Aerospace will use The Grid to help design and test a 1MW motor, motor controller and battery system in support of the project. Collins Aerospace said the 1MW motor will be the aerospace industry’s most power dense and efficient to date, and the new motor and motor controller will be used to assist the demonstrator’s fuel-burning engine as part of its hybrid-electric propulsion system. Work on the 25,000-square-foot lab is already underway and is expected to be fully operational by 2021. Project 804 is expected to fly in under three years. The $50m investment in the lab is part of a larger $150m total investment Collins Aerospace expects to make in electric systems over the next three years. Good luck to them in persuading good engineers to work in Rockford. It’s a pity that GE are not in a position to invest in a similar facility here in Cheltenham.